The SBA Sports Management and Entertainment Group and Dance Empowerment of Calvert County co-produced a version of the SBA Show, called the "First Annual �Be Cool, Stay in School' All-star Basketball and Dance Classic". A sold-out crowd at Patuxent High School in Southern, Maryland had an opportunity to witness the SBA�s Street Ball Show, an urban phenomenon that combines the amazing talents of the top professional street ball players in the world with Hip-Hop music and well choreographed and entertaining dance routines. (93.9 WKYS) was giving high-fives to the basketball enthusiasts. 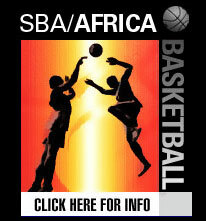 The SBA All-stars built on their momentum from the first few minutes feeding the crowd a healthy dose of high flying acrobatic dunks, street ball free-style dribbling moves, incredible outside three-point shooting, and tenacious full court fast breaking play. As usual �White Chocolate� was up to his trick ball mocking of his opponents with some of his patented moves and rain producing jump shots�meanwhile, of course street ball fan favorite �Baby Shaq� moved the crowd with his ridiculous right to left�left to right cross-over that leaves his man dazed and confused tripping over his own feet while �Baby Shaq�, aka the Rawkus goes baseline launching himself to the rim. By half time the SBA All-stars were up 80-42 against the local Southern Maryland squad of players from Calvert, St. Mary�s, and Charles County. During the half the SBA was proud to present the Dance Empowerment Group of Calvert County were local students had a chance to perform their exciting dance routine in front of capacity crowd of their friends, family, peers, teachers, community sponsors, and political leaders. Dance Empowerment is targeted toward the youth in our communities ages 12-18 and has gained nationwide attention by providing meaningful recreational and educational opportunities, using hip-hop music, dance, and sports as a catalyst to teaching the youth important life lessons and social skills. The SBA would like to formerly thank Dance Empowerment and its entire organization for their support of the community. A special acknowledgement to Antonie White, founder of Dance Empowerment, whose hard work pushed to make this a special event for Calvert County. After the fans and players had the special treat of enjoying the half time entertainment provided by Dance Empowerment, everyone was ready for the second half. The SBA All-stars started a bit sluggish with a 38-point lead and a long break for the half time show. However after a few minutes of play in the third quarter, �The Birdman� and �The Wizard� got things started with back to back three-pointers, and then another �Plays of the Week Highlight� when �The Wizard� threw a behind the back/over the head/off the backboard alley-oup pass to a flying �Birdman.� What a special pass courtesy of the D.C. Legend. By the end of the third period the SBA All-stars had 115 points. The last quarter was highlighted by a number of isolation one-on-one play with the Southern Maryland team trying to take turns guarding Pat Da-Roc, White Chocolate, and Baby Shaq. Another "W" for the SBA All-stars, with a 140-92 victory over S. MD.